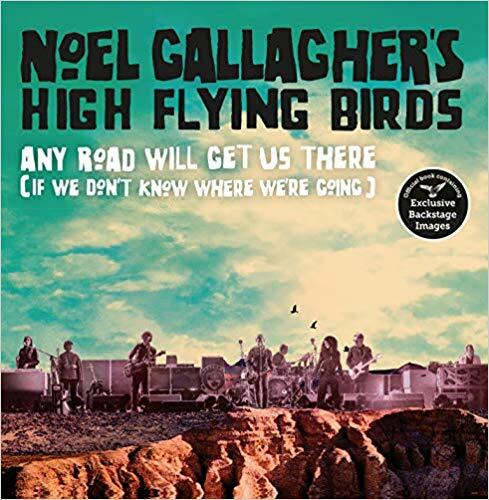 Noel Gallagher is releasing his first ever book titled Any Road Will Get Us There (If We Don't Know Where We're Going). As you might guess from the cover art, the 224 page book tells the story of Gallagher's 72 date world tour behind his latest album Who Built The Moon? The tour memoir documents "every step" of the tour with anecdotes, exclusive backstage photos, interviews, and more. Any Road Will Get Us There (If We Don't Know Where We're Going) is out on November 1st. A physical domestic release has not been announced but digital copies are available here and import hardcover copies are available here. Watch professionally shot footage of Noel Gallagher's July 18th show at the O2 in Manchester below.